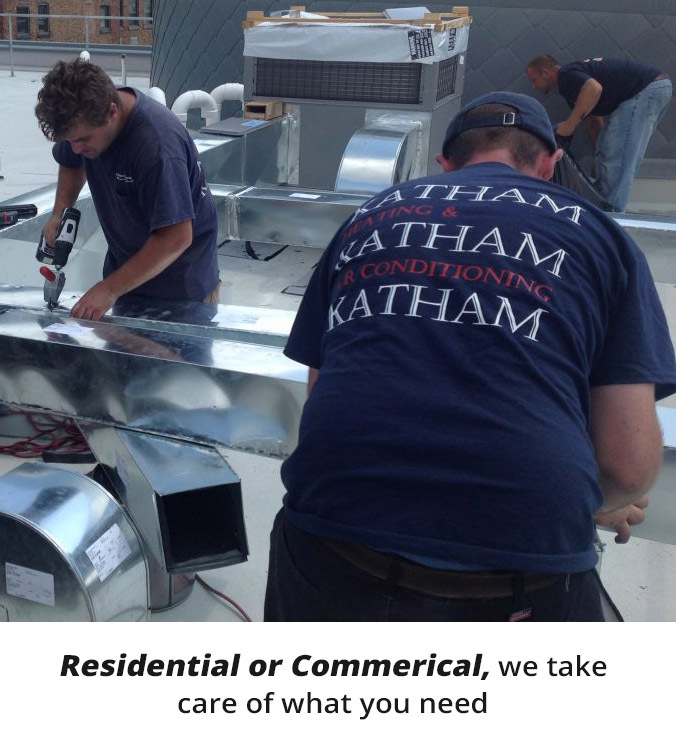 Katham Industries, Inc., established in 1985 and located in Englewood, NJ, has earned a reputation as one of the area’s preeminent residential and commercial heating and air conditioning companies. 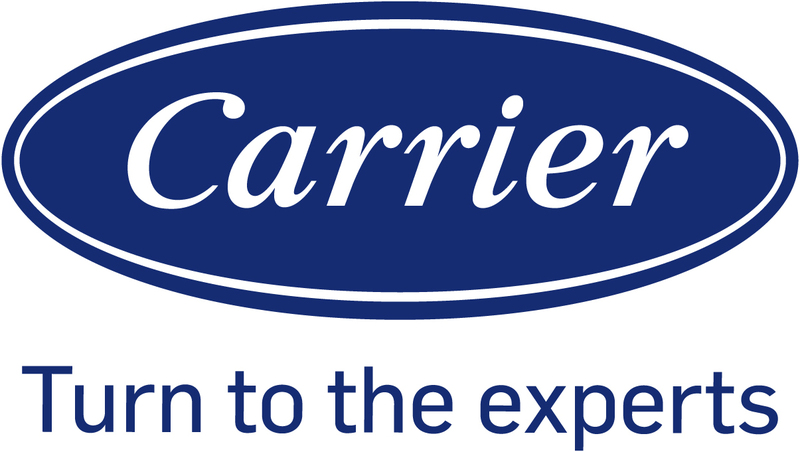 We work with high-quality equipment from leading manufacturers such as Carrier, Honeywell, Generac, Nest and Aprilaire and design, install, retrofit or repair as needed. Looking to improve your indoor quality?…install a standby generator for when the power goes out? We’ve got you covered! And to ensure reliable, long-term operation of your equipment/systems, we provide seasonal maintenance. Give us a call today! 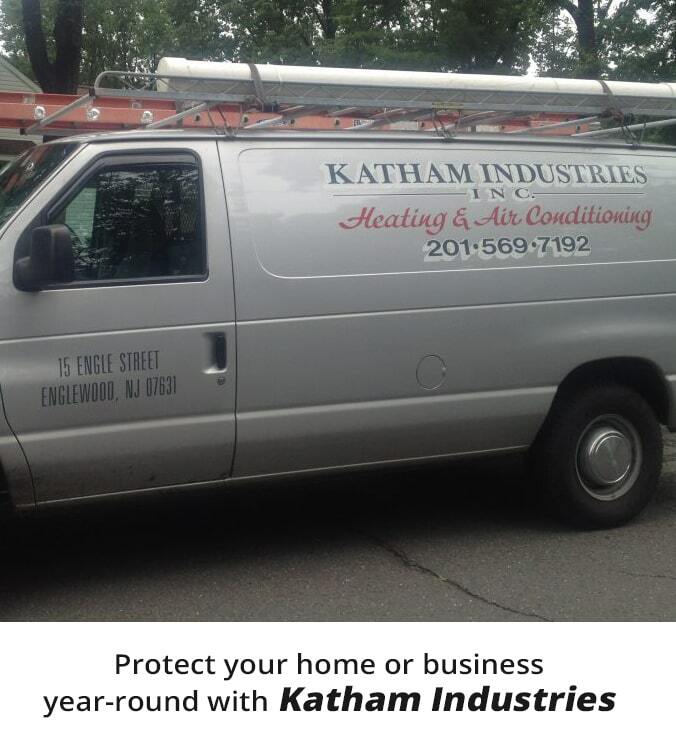 Protect your home or business all year-round with Katham Industries, Inc. Heating & Air Conditioning, a trusted service company in Bergen County and surrounding areas since 1985. We’ve earned a reputation as one of the area’s preeminent residential and commercial HVAC companies through exacting standards of job performance. Specializing in premier products from leading manufacturers such as Carrier, Honeywell, Generac, Nest, and Aprilaire, we bring you superior solutions to heating, cooling, system control, air quality, and standby generators. With accurate design/installation, retrofit, seasonal maintenance, and repair, Katham Industries, Inc. Heating & Air Conditioning ensures reliable and long-term operation. “Prompt, reliable, honest service. So glad I found them." "These folks were very professional. In the middle of a hot summer day, when the AC failed, they came the next morning and they stayed on the job for a number of hours until the problem was rectified..."
"Terrific company! Can't say enough about Katham...professional, trustworthy, efficient, neat and very fair prices. I recommend this company and their services very highly!" Our customer’s satisfaction is what matters to us most. We strive for excellence in every service we provide and offer around-the-clock assistance throughout Teaneck, Fair Lawn, Englewood, Bergenfield, Paramus, Ridgewood, Tenafly, Cresskill, Demarest, Closter, and Alpine, NJ. Contact us at (201) 569-7192 and we won’t leave you waiting. Along with convenient scheduling, Katham Industries, Inc. Heating & Air Conditioning arrives on time and makes you aware immediately if there is any delay. Your air conditioning system needs regular maintenance to live up to the demands of the average household. Keep your system running efficiently with service from Katham Industries, Inc.! Katham Industries, Inc. offers dependable repair service for your air conditioner. Call our team of expert technicians for same-day service. With regular professional heating system maintenance, you’ll enjoy warm comfort in your home all winter long. Give us a call today! Contact Katham Industries, Inc. Heating & Air Conditioning for professional heating and cooling repairs, maintenance, and installations! We respect your home and property, never leaving you with a mess or damage. Let the professionals from Katham Industries, Inc. handle your temperature control and air quality requirements, and we’ll optimize the value of your investment.